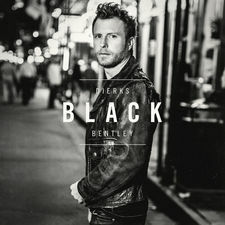 Dierks Bentley and his close-knit band played more shows in more places in 2004 than a body should be able to take or a mind should remember, but one night stands out as a distilled dose of the year´s magic. At 8 p.m. sharp, Dierks took the stage at the Memphis Pyramid and sang for 30 minutes for some 20,000 people, setting the table for veteran superstar George Strait. Then, he and his band hopped on the bus, drove a couple hours to Oxford, Mississippi and set up for a raucous late-night show for 150 college students in the basement of an Ole Miss frat house. What you should understand about Dierks Bentley is that the frat house gig wasn´t a chore but a blast, and the Pyramid show wasn´t the be-all-end-all but an honor and a piece of a much larger puzzle. 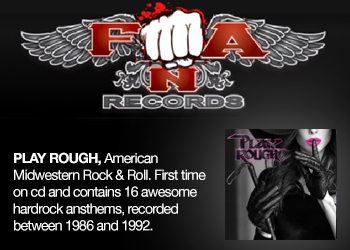 He´s nothing but proud to have had opening tour slots for Strait and Kenny Chesney on the strength of his debut album. But the more emotional rewards came from the long shows on the smaller stages, the double-bills in rock clubs with his pals in Cross Canadian Ragweed and the county fairs where fans lined up for three-hour autograph sessions. Dierks had lived most of his life in two places before last year: Phoenix, Arizona, where he grew to teenhood, and Nashville, where he spent eight years transforming himself from an unimposing guitarist and singer to a serious country artist. Then, in his first full year as a major-label act, Dierks spent 300 days on the road, visiting some of the country´s most remote communities: Rock Springs, Wyoming, Elma Washington, Porterfield, Wisconsin and scores of little burgs in the South. For Dierks, there could have been no better way to discover America. When his driver offered to put a TV monitor up by the front of the bus where Dierks seemed to like to sit, he declined. The country going by outside the vast windshield was better than any widescreen television, he said. That bus arrived at dozens of dirt tracks in dozens of dusty towns and was greeted by fair boards wearing matching jackets and brimming with home town pride. Dierks began to discover that he was, in many cases, the biggest thing to happen to the town in months, and if that´s possible with country music, he finds that absolutely amazing. "I want to wake up every morning thinking I´ve got to make the most of this day," he says of his open-armed embrace of the road. "If we´re playing a corn dog fair, I get out there and check out the horses and the cows and the prizes and hang out and meet people. You get to be a country music missionary. You´re touching people´s lives every day. You´re influencing these people. So I try to make the most out of every day." The most zealous missionaries are often the converted, and that would aptly describe how Dierks came to the church of country music. He was growing up like any other American dude in the 1970s, surrounded by FM rock and disco. Country was around, on his dad´s car radio and episodes of Hee-Haw. Perhaps the first stirrings that something really cool might be up came in the form of Waylon Jennings singing the theme from The Dukes of Hazzard, but that hardly pointed to a new life path. Dierks noodled with an electric guitar but grew frustrated watching his buddies learn Van Halen licks while he flailed. Anyway, he says, "rock music just didn´t really resonate. It was almost there, but it wasn´t there. I just couldn´t sing like David Lee Roth. And I wasted three years listening to a lot of bad 80s hair bands." He started writing songs. He stopped noodling and started learning how to play rhythm guitar. He got himself to Nashville without arousing any fear in his family (college was more than just a ploy, but the location was more than a coincidence.) And when the realities of Music City, the length of the journey, really sank in and started to discourage him, he made his first visits to the Station Inn, Nashville´s most fabled bluegrass bar, with a fake ID. "Thank God I walked in there," he says. "Bluegrass gave me my whole foundation. I thought: these people and this music and this building; this is where I´m going to build from." Part of that was sitting up front every Tuesday night watching the house band the Sidemen and lead singer Terry Eldredge. "I absorbed everything he was doing," says Dierks, who never took a formal singing lesson. Instead, he tried to live up to advice from Eldredge: "Hear it in your head, process it through your heart, and then let it come out of your mouth." Dierks´ discouragement became devotion. He studied country music like it was his own private graduate school. A job at The Nashville Network allowed him watch historic performances from the 40s to the 80s. He filled three-ring binders with hundreds of classic and obscure songs, hand-transcribed with careful attention to phrasing, pronunciation and immortal words by the likes of Willie Nelson, Harlan Howard and Mel Tillis. He set a goal of playing the famed Bluebird Cafe before his 23rd birthday and made it with a couple weeks to spare. He formed bands and graduated from dive bars, to brew pubs, to honky tonks to the Station Inn itself. 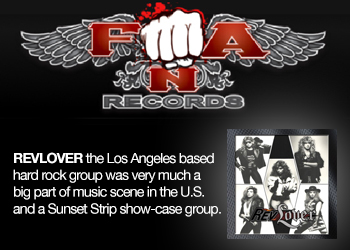 He didn´t go to industry functions and chase producers. Instead he proved what he could do by cutting his own album with a team of sidemen hand-picked from the rocking Jamie Hartford Band and bluegrass icons the Del McCoury Band. His sound, a blend of traditional, bluegrass and modern country worked with young audiences. Capitol Nashville saw someone rooted yet independent in Dierks and offered him a record deal. The best way to keep your independence in the music business is to score a quick hit, and Dierks pulled that off when his debut single What Was I Thinkin´ went No. 1. Two more hit singles followed, along with a CMT Flameworthy Award for breakout video, a CMA nomination and the ACM´s top new artist prize. Beyond the album success, Dierks carried the hard-working ethic he´s shown on Lower Broadway to his touring. He lobbied to play in venues that had never had country music and in venues that had made country music history. He paired up with Ragweed for the "High Times and Hangovers Tour," a 35-city run that lived up to its name. Every night, Dierks and company followed the Oklahoma-based band´s famously high-energy shows with rock-hard country music and plenty of space for the band to stretch out and play for jam-friendly audiences. He turned down glamour photo shoots designed to fluff and buff him. But he did pose with his beloved dog Jake, who has emerged as the mascot of the whole Dierks Bentley bandwagon. 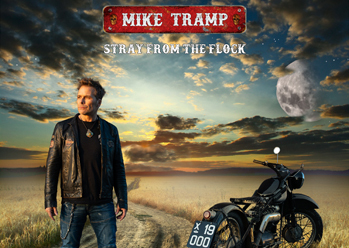 The first song and first single, Lot of Leavin´ Left To Do, jolts out of blocks with a Bakersfield hot-coil twang and settles into a brisk, road-worthy groove reminiscent of Hillbilly Rock-era Marty Stuart. Cab of my Truck seems to offer a picture of an automotive hangover after the night in question in What Was I Thinkin´. At least two songs, Domestic, Light and Cold and So So Long tap the honky-tonk tradition with uptempo groove and clever wordplay. 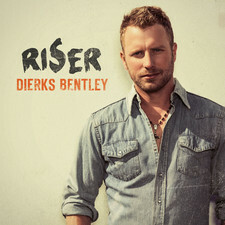 While Dierks and long-time collaborator Brett Beavers wrote most of the album, three cover tunes demonstrate Bentley´s eye for great songs. Jamie Hartford´s Good Things Happen casts as peaceful a spell as Dierks´ own I Wish It Would Break did from the debut, and Alison Krauss sings harmony vocal for extra sweetness. The title cut, Modern Day Drifter, by John Scott Sherrill and Wyatt Easterling, has the makings of a timeless study in rootlessness. And as before, the Del McCoury Band appear in a pure dose of bluegrass near the end, here a tune by Del himself called Good Man Like Me. Perhaps the song that best points toward the career longevity any respectable artist seeks is the final cut, Gonna Get There Someday, a fiddle-driven tear-jerker that earns every one of its chill bumps. The narrator sings of his lonesomeness to a departed woman, but who she is may surprise you. It´s an emotional cap to an album that will speak to both fans of the legends of country and the new, young fans Bentley has made it his mission to recruit into the fold. Dierks still has the binders full of songs he assembled when he was taking self-taught classes in Country Music 101. They´re battered and falling apart, but they still come out for jam sessions on the bus and band sound checks, where Dierks likes to do a different song every time. They´re a tangible symbol of a lifelong commitment to the legacy of country and the serious business of being an artist in charge of his choices, his band and his destiny. "I feel like I´m the same dude who used to carry his own PA system, go set up, make the phone calls and put bands together downtown," Dierks says. "From day one, it´s been the same attitude from Lower Broadway, not worrying about money, just trying to build up fans one handshake and one beer at a time."